He ended Christo and Jeanne-Claude’s 25-year plea to place The Gates of saffron-colored fabric across Central Park within his first few months of office; brought Olafur Eliasson’s The New York City Waterfalls to the rivers surrounding Manhattan; and is credited with doing more for art, and the arts, than any other mayor New York City has had. Though the city has long been known as the mecca for art, during the term of Mayor Michael Bloomberg, it certainly seems more visible and accessible. Mayor Bloomberg is gifted with a voracious business intellect underscored by an engrossing personality. Arts education of the highest possible caliber certainly has been a priority for him. He created the first public school arts curriculum in a generation, which can instill an appreciation for art in children, encourage talent, and help keep young artists in the city. The Chelsea art gallery area flourished with the Mayor’s vision and his approval of changing the zoning laws to support this development. Last year, 46 million tourists visited New York and half of them attended cultural institutions. The mayor, with a 360-degree business head, knows that art brings in visitors who bring in business, which brings in economic benefits to the city and keeps New York vibrant. 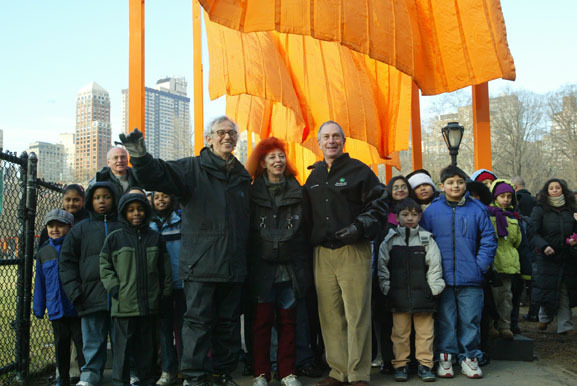 After petitioning several mayors over 25 years, the artists Christo and Jeanne-Claude received approval from the Bloomberg administration to install their delightful work, The Gates, across the 843 acres of Central Park in 2005. During the two-week exhibition, over four million visitors came to Central Park from around the globe, generating $254 million in economic impact on New York City. The artists financed the entire cost of The Gates and provided paid employment for 1100 workers to assemble, install, maintain, provide security for and remove the work of art. They also donated $3 million to the city for programs and operations in Central Park and other city parks. Last year, the installation of Waterfalls by Olafur Eliasson drew 1.4 million people and generated $69 million for the city’s economy. In 1995, Seagram & Sons, owned by the Bronfman family, acquired major interest in the four-star Four Seasons restaurant in their Seagram Building located on Park Avenue, which was designed by Mies van der Rohe in 1959. The restaurant itself was designed by renowned architect Philip Johnson and, in 1989, received the distinction of being one of two landmark-designated restaurant interiors in New York. In 2000, the building was sold to the French conglomerate, Vivendi Universal. 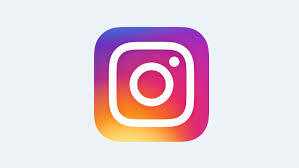 When Vivendi underwent financial difficulties in 2003, it sold at Christie’s large portions of the restaurant’s famous art collection, which included Mark Rothko’s Brown and Black in Reds and Roberto Matta’s Endless Nudes. The Seagram Building also owned paintings by prominent artists Juan Miró and Larry Rivers, as well as hundreds of photographs by Stieglitz, Steichen and others. The greatest uproar and outrage over the art liquidation was over the proposed sale of Picasso’s famous and rare tapestry Le Tricorne, a theatrical curtain painted on canvas. Fortunately, Picasso’s theatrical curtain failed to obtain a buyer and, as part of the restructuring of Vivendi Universal, the company was convinced to donate Picasso’s famous theatrical curtain to The New York Landmarks Conservancy. The New York Landmarks Conservancy in turn lent it to the Four Seasons Restaurant, where Alex von Vidder, managing partner of the restaurant for 33 years, and other restaurant heads are charged with maintaining it. It now hangs where it always has been displayed, on the wall of the second floor foyer between the Grill Room and the Pool Room. Clearly, this scenario reveals Mr. Bloomberg’s fondness and passion for art. Yet, the Mayor’s art appreciation has a duality to it. While he enjoys good art, he also enjoys the fact that it brings in money to the city, adding big business and healthy dollars to the city’s tourism industry. Almost everything he does for the creative arts also aids economics. Mayor Mike, as he is fondly called, has a unique mind that intertwines business with all aspects of life. Perhaps that’s the major tool that enabled him to build his own vast fortune after being fired on Wall Street in 1981. His philanthropy is vast; in 2009, it encompassed $254,000,000, which included giving to art, culture, education, public health, and other worthy causes. At his company, Bloomberg LP, the mayor had commissioned works of art to inspire thought and spark conversations among employees. While he was there, the collection included a large-scale, hand-blown glass work entitled Natural Progression by artist Michael Scheiner, a painting by Alex Katz, wallpaper comprised of employees’ faces by Do-Ho Suh, and an underground train revealed through Plexiglass panels on the floor by Mick O’Shea. After his departure from the company to become mayor, the collection has continued to flourish, inspired by his vision. .